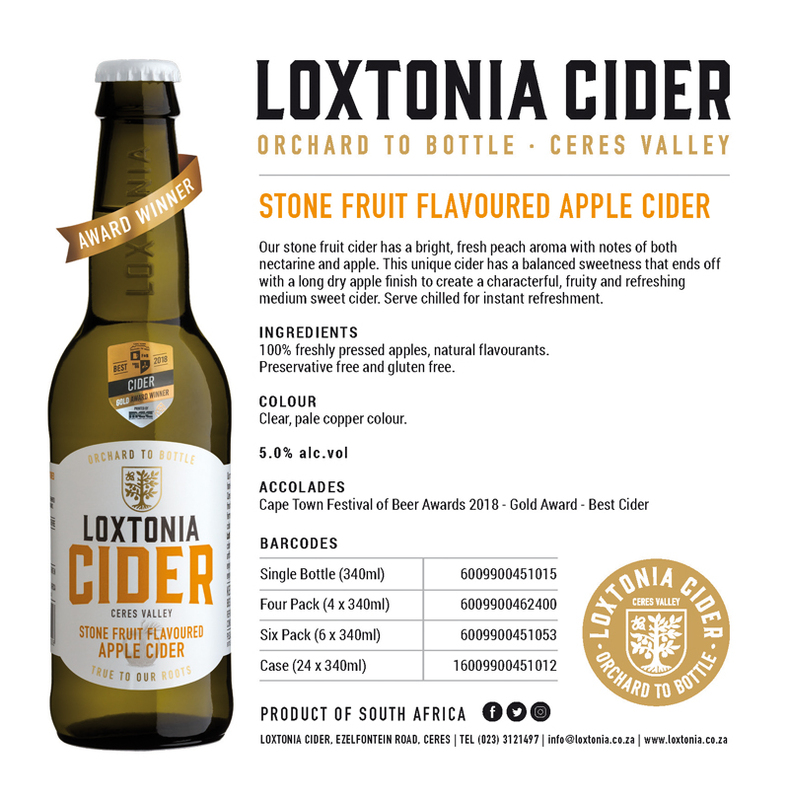 Situated in the heart of the Western Cape farmlands, in the Ceres Valley, local farmstead Loxtonia Farm responds to South Africa’s demand for a genuine artisanal cider by introducing their first all-natural premium range to the local market in October 2018. 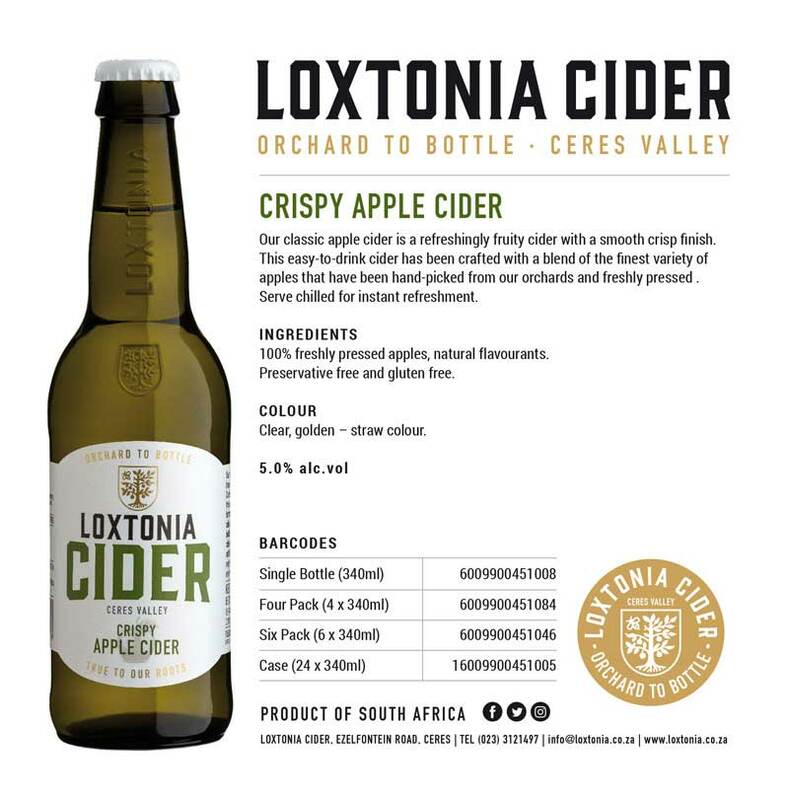 Loxtonia Cider is free of any preservatives and artificial additives, made from hand-picked apples which are freshly pressed and naturally fermented bringing to life their key philosophy “Orchard to Bottle”. 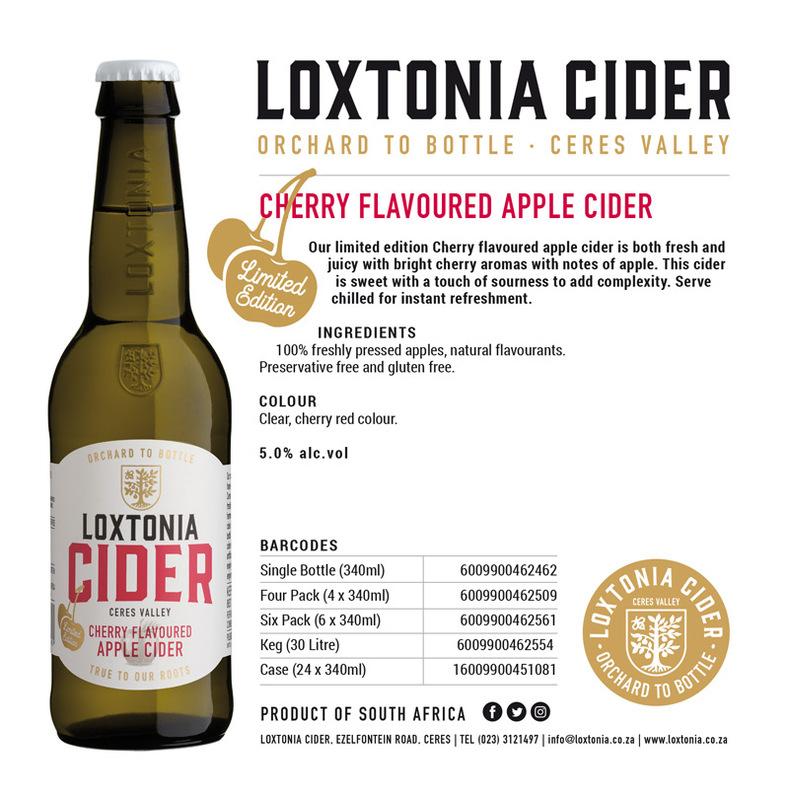 Owned by the Whitfield family since 1990, Loxtonia Farm exports apples, pears and plums world-wide while also supplying a small percentage of fruit to the local South African market. 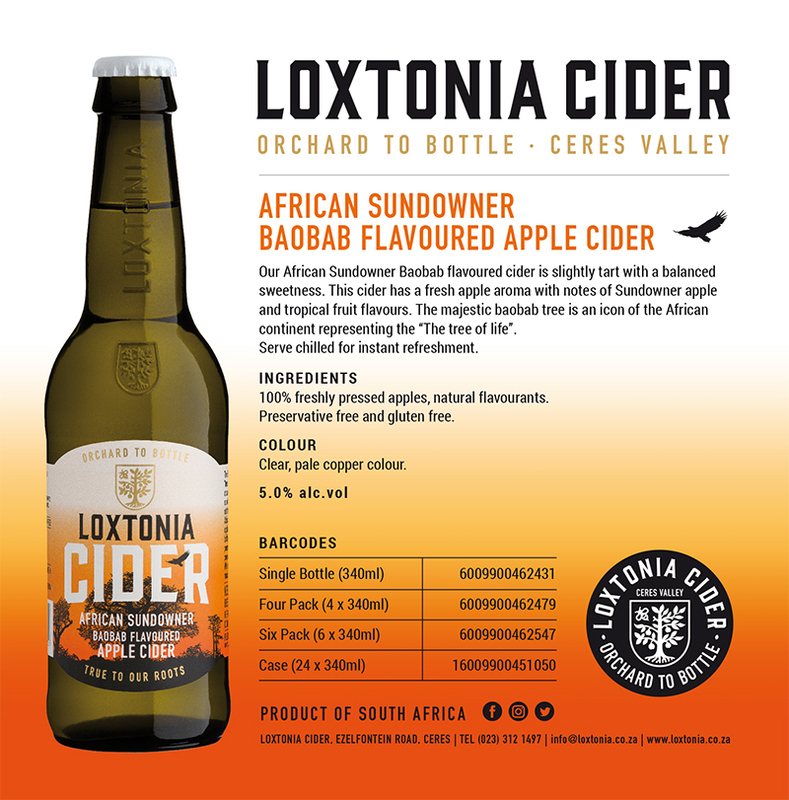 Founder & Head Cider Maker of Loxtonia Cider, Larry Whitfield realised that he could turn this into a two-fold passion project by using the juice from the apples to become the first Cidery in Ceres. 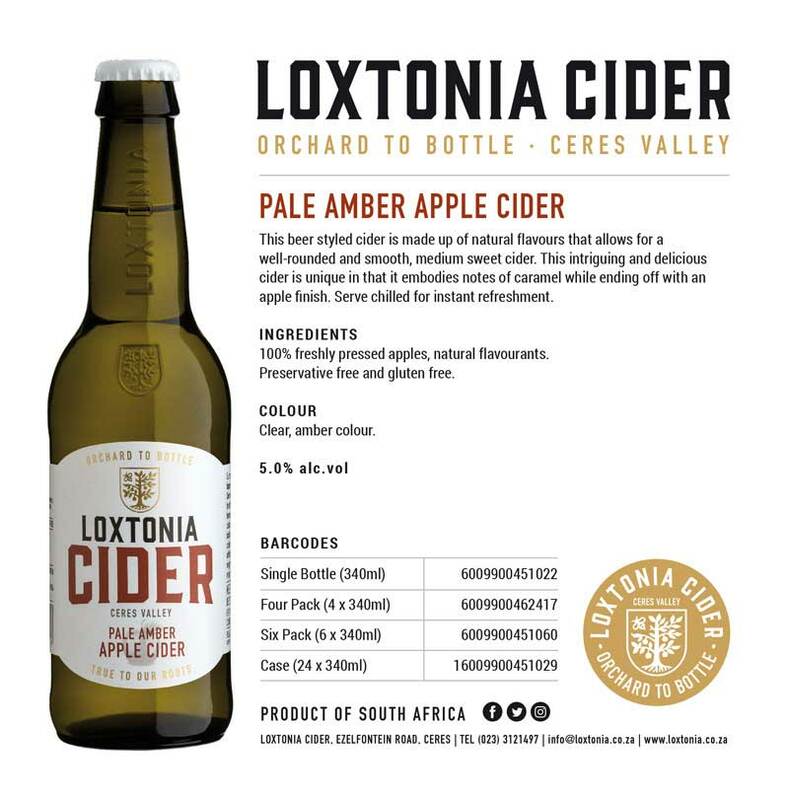 The art of making fine apple cider first took place at Loxtonia Farm in 2013, when the family run farmstead identified a gap in the South African market. Larry started doing research on blending apple cultivars on the farm, after travelling to different cider making regions to gain further insight. 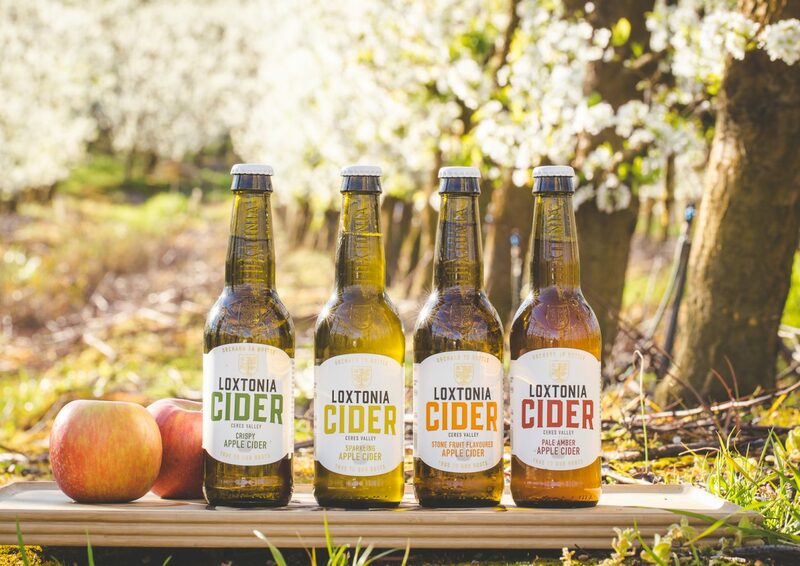 Loxtonia Cider’s Marketing Manager, Ali Whitfield adds “we then worked towards producing a quality product different to those currently on the market which still remained true to our goal of sustainability”. “Our natural ciders are testament to our family’s commitment to producing products that are high in quality and kind to the environment. We are proud of Loxtonia’s family heritage and conscious of the privilege and responsibility we have to produce a product that is not only delicious, but does not negatively impact our planet”, says Larry. For more information on Loxtonia Cider, visit: www.loxtonia.co.za or follow their journey on Instagram | @loxtonia_cider and Facebook | @LoxtoniaCider. FIND YOUR SPIRIT OF ADVENTURE. Hi, when will your Ciders be available in-store? Would I be able to buy them at Checkers, Spar… etc? WE BRING THE FUN CIDE(R) TO CERES AND SOUTH AFRICA THIS SUMMER!